The second AHIQ 'why don't you try this?' 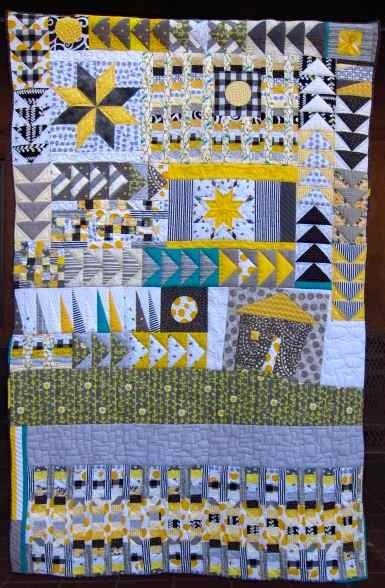 post was based on the idea of working with what you had/knew, so here is a selection of glorious quilts where the makers have worked with familiar elements but put their own twist on things. My thanks to everyone who kindly agreed to let me use their images. If you click on the picture it should take you to the relevant blog post (where there is one) but you can also use the links beneath the pictures to go to the main page of people's blogs and then explore - there's loads to see. Terry kindly sent the artists statement that goes with this quilt. ("I love using an improv, wonky process, because it goes together so quickly – no precise measuring required! 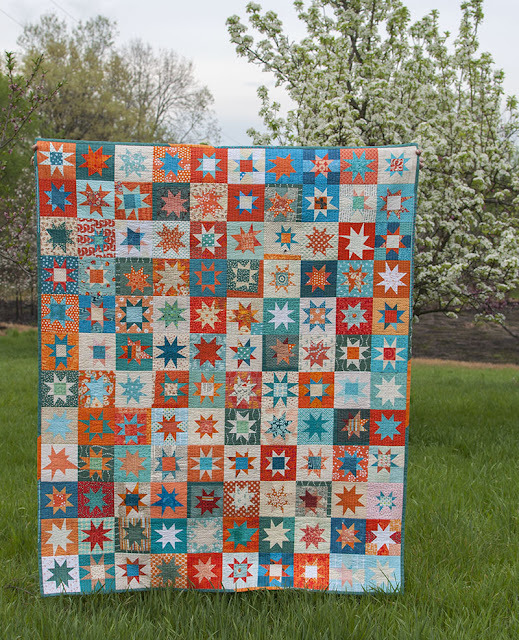 This quilt was inspired by a VMQG challenge to combine the printed patchwork fabric from Robert Kaufman’s Kona Modern Quilts fabric line with Kona solids. I chose solids in navy blue and other cool colors. I started with a wonky center square and added alternating printed and solid strips. Once it was about 35" square, I trimmed the edges to make it straight and square. Wow - so much inspiration here! Great examples of Improv and use of color. Fabulous! Inspirational and interesting and unique, indeed! But, quite honestly, I don't really feel like I want to make any of them. 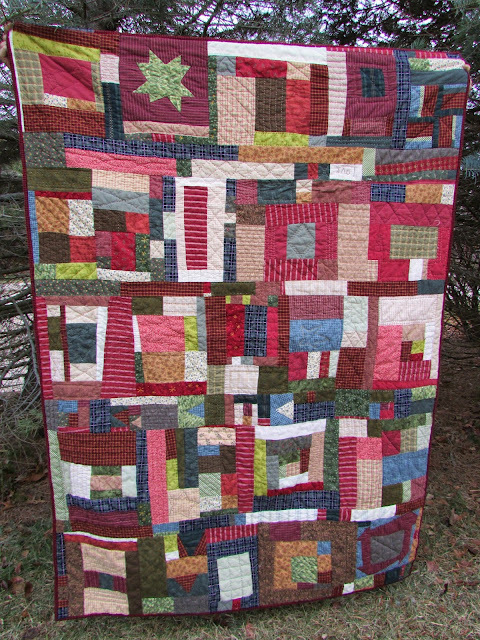 Love the quilt by Terry Aske, I have to say the first quilt is the sort of improv that I just wouldn't want to try. 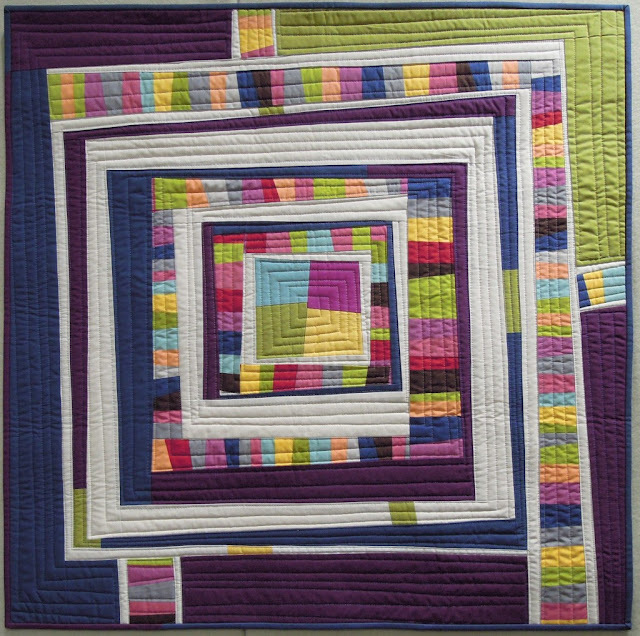 Inspiring quilt show Kaja! 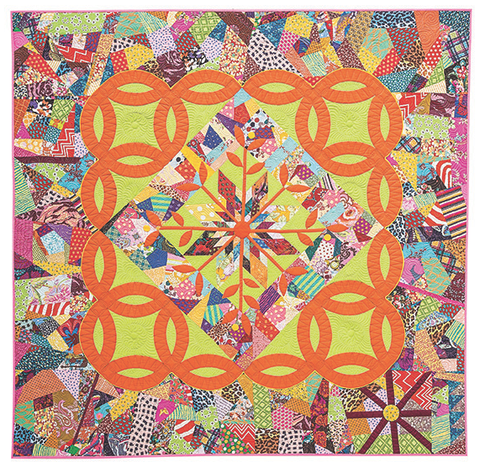 You found some beauties to illustrate using traditional blocks in improv quilting.